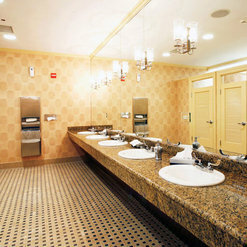 Plumbing, Water heaters, Drain cleaning, Plumbing repairs, water/sewer lines, heating and AC, leak detection, hot water heater repair, heating and air conditioning, and just about anything else. 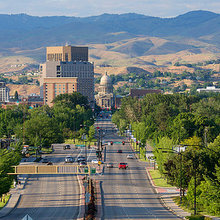 Boise, Meridian, Nampa, Caldwell, Star. I own a small bar and grill and had an emergency during peak hours. The drain to my 3 compartment sink backed up and water was backing up onto the kitchen floor.The owner of the company actually answered the call at 8pm and asked me when was the last time I had my grease trap cleaned out. Having just had it cleaned out a couple of months ago, he said something must have gone down the floor sink drain. He told me he would call a plumber and do is best help us. About 15 minutes later he called and said a plumber was on his way. The plumber use one of his snakes to remove and removed a cleaning rag from the drain. He then ran hot water and ran the cable to the grease trap making sure the entire line was clear. GREAT COMPANY TO USE!!! 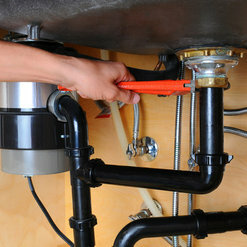 Todd was able to make time for us when we needed a new water heater just one day before Thanksgiving. And on the very SAME DAY we had family visiting from out of town. The water heater was much less then I expected. We dicided to purchase a Rheem 50 gallon gas water heater. 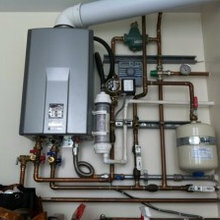 Which is an upgrade from our last water heater that was installed and purchased from home depot. 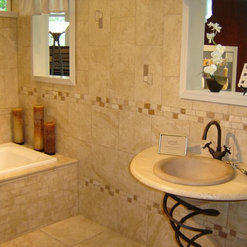 We were given an 8 year warranty along with a 1 year install warranty. I had a problem with my furnace. Ben from Einstein plumbing Boise removed the parts of the furnace and inspected carefully. Found a crack in the heat exchanger, showed it to me. He suggested replacing the furnace instead of repair because repair could cost significantly. His opinion was consistent with the other inspection conclusion I received from Brennan Heat & AC. Ben suggested replacing the old gas furnace, which was a Bryant single stage with loud noise, with an 80% new Coleman modulating gas furnace. He told me he just installed the same furnace in his own house and didn't push for the 98% furnace though he did give me that option which was quite expensive. I eventually opted for the 80% Coleman modulating as he proposed. The Boise heating and cooling company offered 10-year warranty on parts and labor from Johnson Controls, and the heat exchanger has a 20-year part warranty. We had other heat & AC professionals come to estimate the cost before, but with the final total cost (including tax) of $2333, Einstein plumbers in offered the most competitive bid in terms of the price and meeting our need: affordable, quiet, and reasonably efficient. One week later, on September 20, 2014, Ben and his Boise plumbing colleague came by as scheduled to perform the replacement work. My wife was there. According to her, it took them quite some effort to take off the old furnace, and redo the duct connection for the new one. Total time was about 2 hours or so. When I got home that evening, the new furnace was up and running. It has been much quieter than the old single-stage Bryant. Both my wife and I were satisfied with the performance of the furnace and the service from Einstein plumbing. The main water line to our house had a leak due to the deterioration of the original water line. Keith and Ed arrived within a couple of hours of our call. My husband had already dug down to the leaking pipe. They made a plan, called the utility companies to mark electric and gas lines, got a permit from Boise city code, and scheduled a Boise plumbing team return the next day. He gave us an estimate,and said if my husband and son removed the dirt in 2 more designated spots, it would reduce the labor cost significantly. My husband was up for that! They had our information from several years ago when another portion of the water line failed. Everything went as planned. They replaced the plastic pipe with copper so we would not have another fail on this line, and worked in the pouring rain. 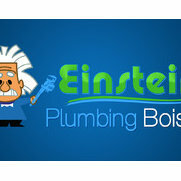 Einstein plumbing Boise then notified the city who sent an inspector the next day. They charged us the rate promised. The total was $2700. Keith and Ed were great! We would call them again for any plumping we might need. Everything went great. We had a small mix up with scheduling due to a new Boise plumbing employee not understanding the work request, but Einstein plumbing Boise went above and beyond fixing the situation by having two Boise plumbers rescheduled for the next day. Ed, the video professional and Todd, the pipe master did an outstanding job for us. 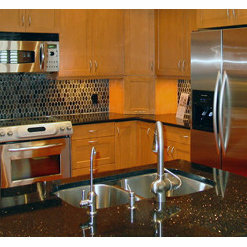 Both are experts in their field and were able to accomplish the work very quickly. 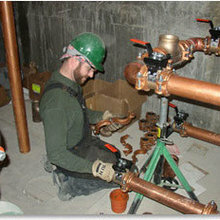 We have used Einstein for other plumbing jobs and have always had the consistent experience of timely, polite and professional work. We highly recommend them. We had to have emergency service due to a toilet clog that caused some flooding in our basement. Keith came to the rescue! He was professional, friendly, and did an outstanding job. We couldn't have been happier with the plumbing work. He was here about an hour and half. It wasn't cheap but it was after hours and I honestly thought it would be more. We've used these guys one other time and I wouldn't go with any other plumber in Boise. Great service. Showed up 30 minutes before schedule arrival time. Had my drain clog cleared up and working in less then an hour. No complaints. Was very happy with how fast they were able to get out and take care of my old and broken water heater. Alawys took my warm morning showers for granite until a few weeks ago when i woke up and my water was freezing. Turns out i needed a new water heater. Keith was able to get me back up and going same day. I am very happy with the sevice i received. 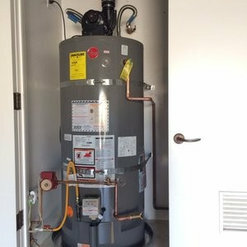 After struggling to find a reasonable quote and quick time-frame for a water heater install, I went to Houzz as a last resort in my search for a plumber. He quickly returned my call, gave me a quote and scheduled the install. Keith's employee arrived on time, was friendly, and efficient. I would highly recommend Keith and will definitely use them again.